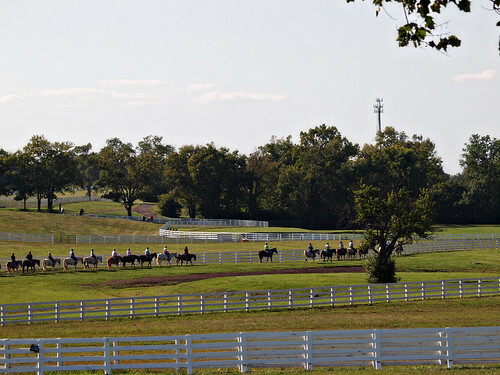 If you love horses, then the Kentucky Horse Park is a dream come true. 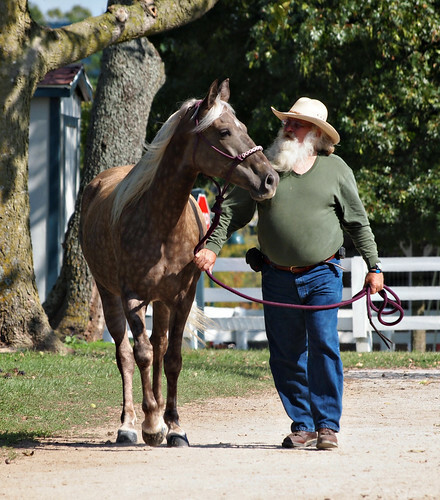 There’s something for everyone here whether you love the smallest or largest of horses. 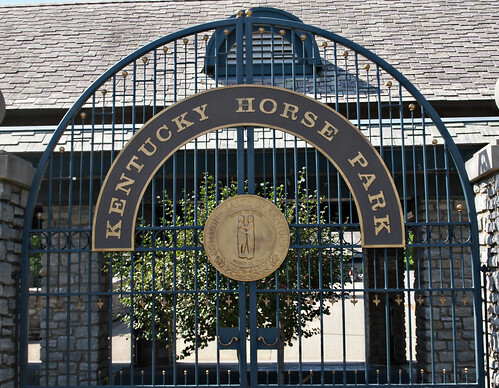 The park represents over 150 different horse breeds in one location, as well as several museum exhibits, barns, and even horse shows. Throughout the day they also have several “shows” that they put on themselves including a Parade of Breeds, Hall of Champions Show and Trolley Rides. You can also take a trail ride or pony ride yourself. As you enter the park area, you’ll first notice a large reddish statue near the entrance. 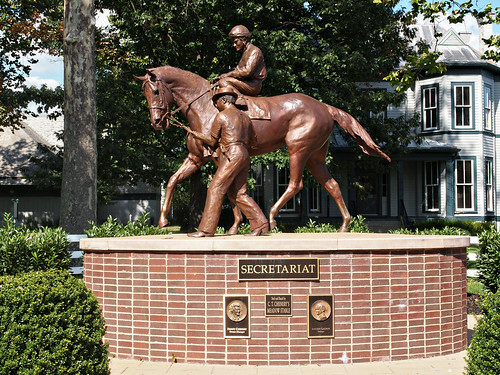 The statue is, of course, Secretariat, a.k.a. Big Red. 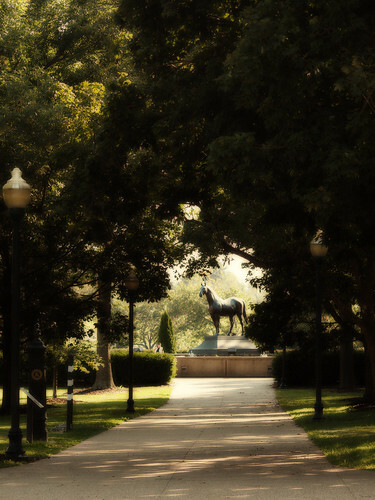 To your left, you’ll find a walkway to the Man O’ War memorial as well. 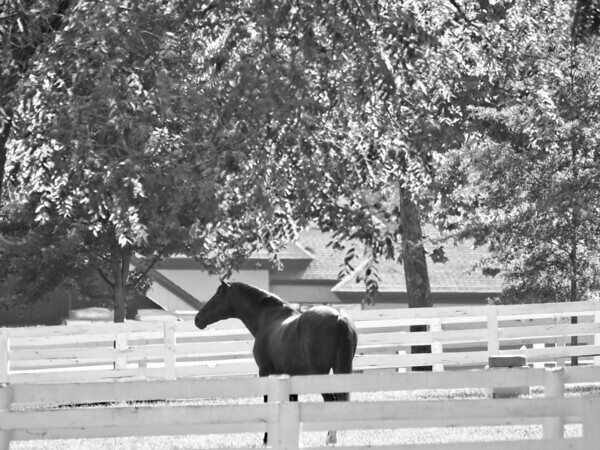 The main attraction at the Kentucky Horse Park for me was seeing the Hall of Champions. I seriously could not believe I was standing outside the stall of Cigar while he ate his dinner. Cigar is the highest money earning horse in Thoroughbred history. I couldn’t believe that I was watching Go For Gin in his paddock as he nickered and neighed at the horses in the barn across from him. I actually remember watching that Kentucky Derby in 1994 when he won. I will never forget the look on Nick Zito’s face when his horse beat the favorite that year, which was Holy Bull. I also saw Kentucky Derby winner Funny Cide, but couldn’t get a shot of him as he was too busy with his oats. 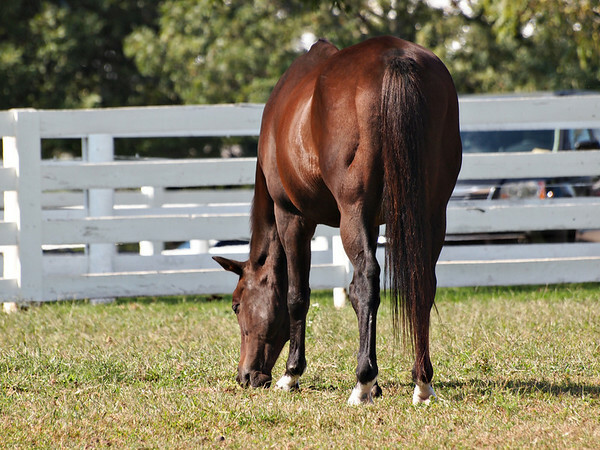 Da Hoss was also in his paddock. He’s known for winning the Breeder’s Cup Mile twice and in non-consecutive years. One of those wins was at the age of 6. 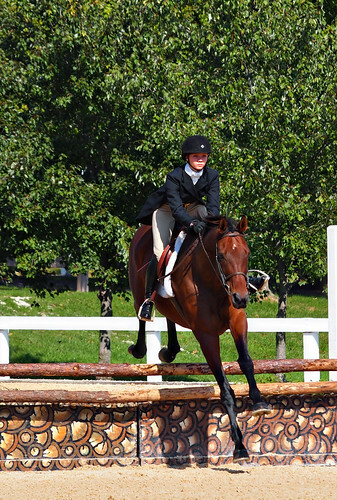 After checking out the horses in the Hall of Champions barn, we found ourselves drawn to a hunter/jumper show. I had no idea that there would be shows going on at the park that day, but not only were there hunters and jumpers, but there was also a Rocky Mountain Horse Show going on as well. From the shows, we visited the Big Barn. The barn is huge with several stalls and several different carts on display. The barn itself was pretty empty except for a couple of horses. The weather was so nice, most all of the horses were outside in paddocks. 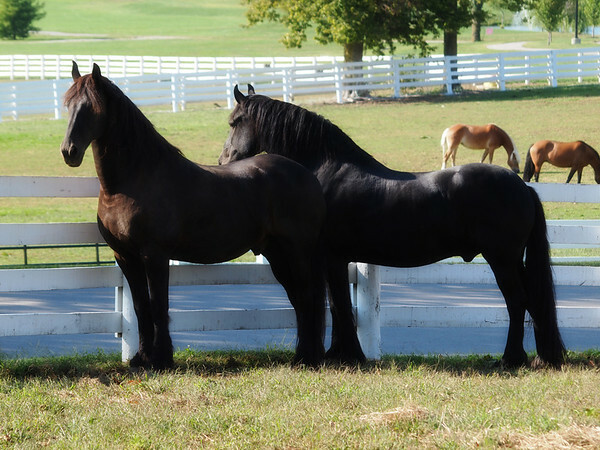 The park is also home to the American Saddlebred Museum and the entrance for that museum is also included in your park fee. I know there were other areas of the park that we didn’t even make it to as well, so be sure to plan plenty of time for your visit. However, we were unable to visit this part of the park as we ran out of time. Also, keep in mind that the park is very large. There’s a lot of walking, so little kids will definitely need a stroller and you’ll also want to wear comfortable shoes. Our time in Lexington was short, but I’ll definitely be back and most likely for a few days to take advantage of the racehorse farm tours that are offered as well.